Casa Las Brisas is a stunning 3,200 sq/ft home with 3 bedrooms and 2.5 baths perched on top of the hills of Rancho Santana. You’ll enjoy year-round breezes, as well as magnificent sunrises and sunsets each day. The house offers two distinct views: one side offers majestic valley views with the Mombacho Volcano in distance. Lot E-3 is a 0.31 acre lot perfectly located in the Las Playas Neighborhood. 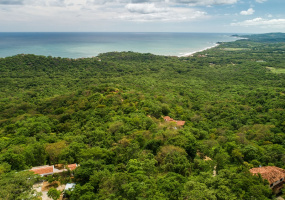 This lot is close to Playa Santana, the Clubhouse and its amenities, including La Finca y el Mar, El Café, The Sand Dollar Pool, and Galeria Rancho Santana. It also offers an expansive view of the Pacific Ocean. Lot O-25 is a 0.88 acre lot situated in the hills of the Bella Vista neighborhood. This property has an open view on the Pacific Ocean. Less than a ten minute drive to the Clubhouse on Playa Santana, this lot offers both privacy and easy access to all our amenities.About the Bella Vista Neighborhood: Stunning coastal and mountain views abound from these large homesites. Lot C-23 is 0.36 acre lot in the Las Playas Neighborhood. This property has the perfect location between two of our five private beaches with a large ocean view. This lot is walking distance to Playa Rosada and la Boquita, where you can easily catch some waves or enjoy a cocktail while taking in some amazing Nicaraguan sunsets. Lot O-1 is a 1.01 acre lot located in the hills of the Bella Vista neighborhood. 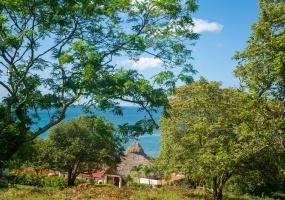 ­This spacious property offers expansive views of the Pacific Ocean and epic Nicaragua sunsets. ­The flat topography of the property makes it an easy spot to build your dream home.About the Bella Vista Neighborhood: Stunning coastal and mountain views abound from these large homesites. 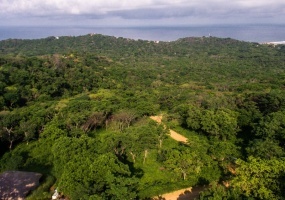 N-17 is an attractive 1.38 acre lot located in the Bella Vista neighborhood, just a five-minute drive to the Clubhouse, two pools and Playa Santana. 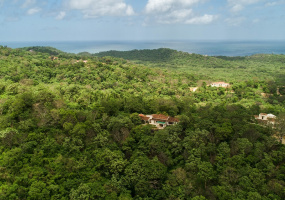 Located in the hills of Rancho Santana, this lot is the perfect secluded spot to build your home with guaranteed views of the Pacific.About the Bella Vista Neighborhood: Stunning coastal and mountain views abound from these large homesites. O-21 is a large 1.1 acre lot situated in the hills of the Bella Vista neighborhood. 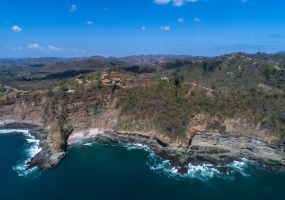 This property offers views on the Pacific Ocean and is located less than ten minute drive to the Clubhouse on Playa Santana.About the Bella Vista Neighborhood: Stunning coastal and mountain views abound from these large homesites. 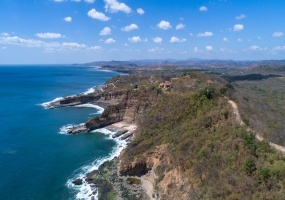 J-16 is a 0.74 acre lot situated in the Las Playas neighborhood, one of the last undeveloped ocean front areas of Rancho Santana. The location of this lot is ideal, offering easy access to both ends of our 2,700 acre development. The ocean views from this property are breathtaking. 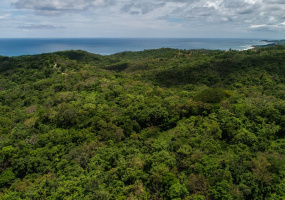 J-15 is a 0.82 acre lot situated in the Las Playas neighborhood, one of the last undeveloped ocean front areas of Rancho Santana. The ocean view from the property is breathtaking. This lot's central location offers easy access to both ends of our 2,700 acre development. 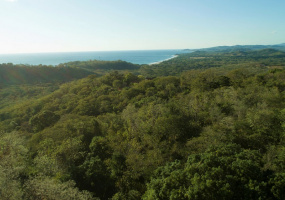 This 1.10 acre lot is located in Las Playas and is on one of the last undeveloped oceanfront areas of Rancho Santana. This lot is centrally located within the Ranch, making it quick and easy to access both ends of our 2,700 acre development.Lot J-21 is only steps from Playa Escondida. Q-10 is a large 1.23 acre lot in The Estates neighborhood. With year-round breezes and magnificent ocean and valley views. you're sure to enjoy each and every sunrise and sunset from this hillside location.About The Estates Neighborhood: Located on Rancho Santana's highest ridge, many of The Estates homesites offer spectacular views of the ocean and valley below. W-9 is a 0.84 acre lot located in the hills of the Las Colinas neighborhood with extensive views of the Pacific coast. With its flat topography, this lot is the perfect spot to build a home.About the Las Colinas Neighborhood: Centrally located and convenient to all five of our beaches, these large ridge-line lots offer year-round coastal breezes and stunning ocean and mountain views.